One week later and most of the photos and results have been processed, and now posted. We’re still missing a few photos, waiting on those to come in from a few people, but the majority of them have been uploaded, and the others will be added as soon as we get them in hand. All of this information has been added to the MosquitoCon 25 page as well, but quick links below. Also, the Best Of Winners post I made last week has been updated with photos of a few of the Best Ofs. Here’s the list of the MosquitoCon 25 Best Of winners. The full list of winners will follow in the near future. 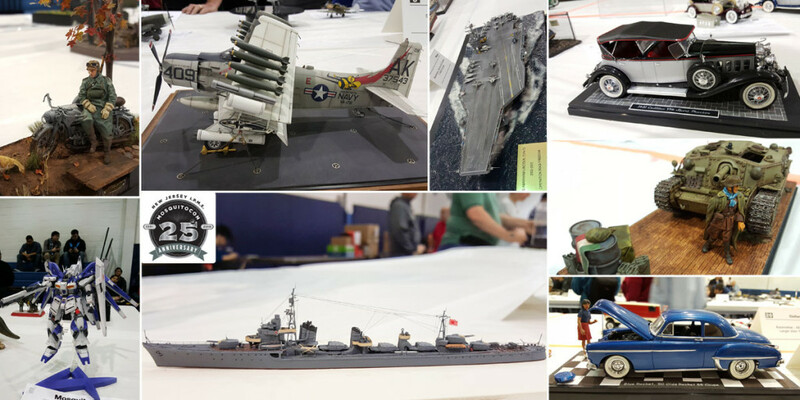 We counted 523 models on the table for the contest. MosquitoCon 25 is a Wrap! Thanks to everyone that came out yesterday. We’re still going through the numbers to get specifics, but we had a huge day as far as walk-in visits and models on the table. 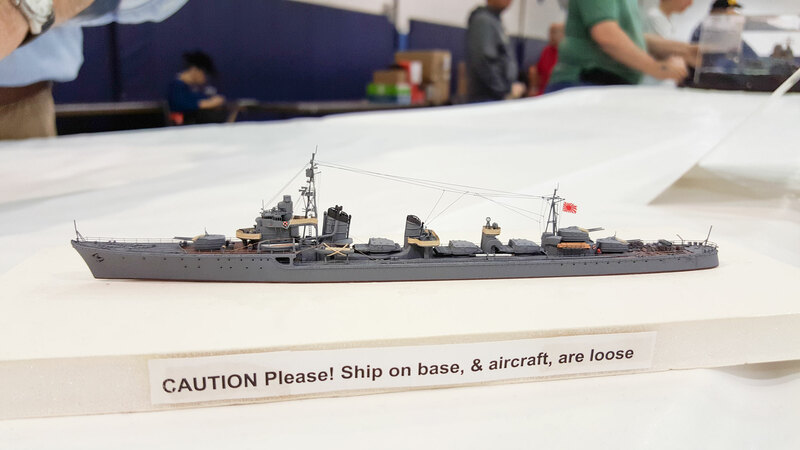 Some fantastic work was on display, not the least of which was Dan Kaplan’s 1/700 IJN Shimakaze, which took best in its class, Best Ship, and Best in Show. We’ll have a list of the rest of the winners and tons of photos to post once the club’s membership gets a little rest and are able to pull the data together. Until then, please check out the Facebook page for information on the very successful Silver Anniversary show.